There is one pivotal era in history that forever changed the way we look at productivity. At the dawn of the industrial revolution, productive output was fundamentally constrained by the limits of human toil or animal strength and by the boundaries of available land. The industrial revolution paved the way to exponential and sustainable economic growth, to a point that new generations were afforded the confidence that the economy that they will eventually shape would be better off than the one wrought by their forefathers. At the height of the revolution, electric power was identified as a foremost factor in encouraging a viable economic growth – and that has not changed till now. 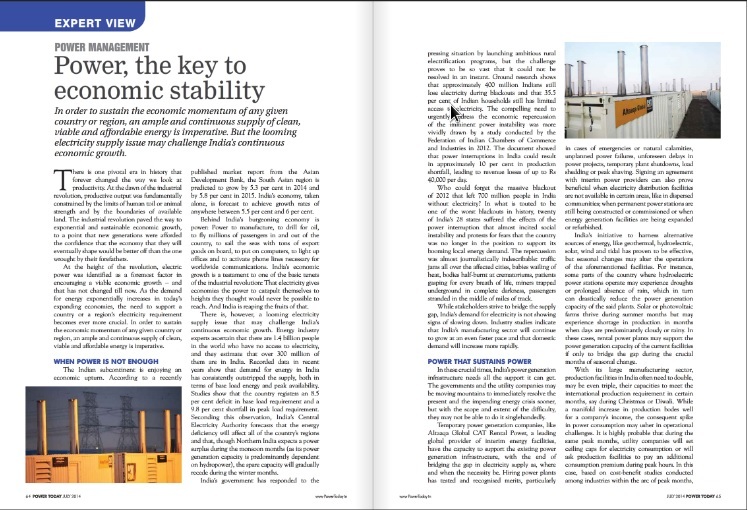 As the demand for energy exponentially increases in today’s expanding economies, the need to support a country or a region’s electricity requirement becomes ever more crucial. In order to sustain the economic momentum of any given country or region, an ample and continuous supply of clean, viable and affordable energy is imperative. The Indian Sub-continent is enjoying an economic upturn. According to a recently published market report from the Asian Development Bank, the South Asian region is predicted to grow by 5.3% in 2014 and by 5.8% in 2015. India’s economy, taken alone, is forecast to achieve growth rates of anywhere between 5.5% and 6%. Behind India’s burgeoning economy is power: Power to manufacture, to drill for oil, to fly millions of passengers in and out of the country, to sail the seas with tons of export goods on board, to put on computers, to light up offices and to activate phone lines necessary for worldwide communications. India’s economic growth is a testament to one of the basic tenets of the industrial revolution: That electricity gives economies the power to catapult themselves to heights they thought would never be possible to reach. And India is reaping the fruits of that. 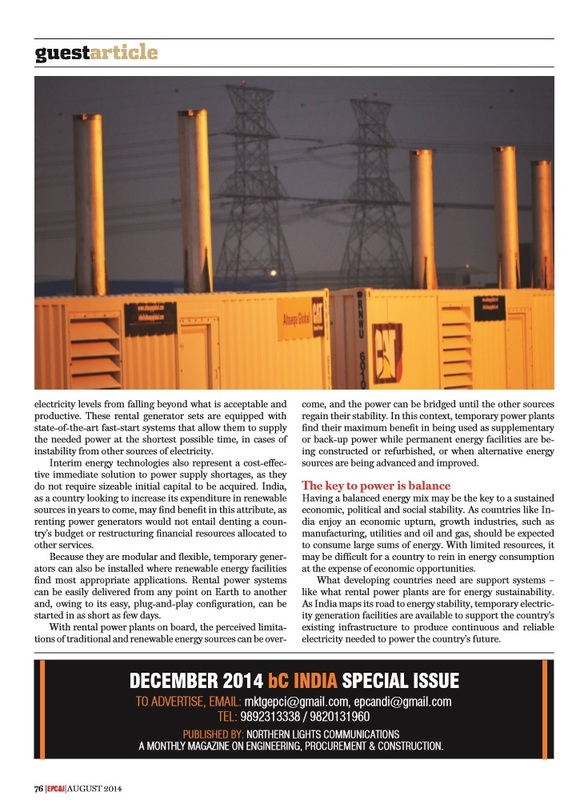 There is, however, a looming electricity supply issue that may challenge India’s continuous economic growth. Energy industry experts ascertain that there are 1.4 billion people in the world who have no access to electricity, and they estimate that over 300 million of them are in India. 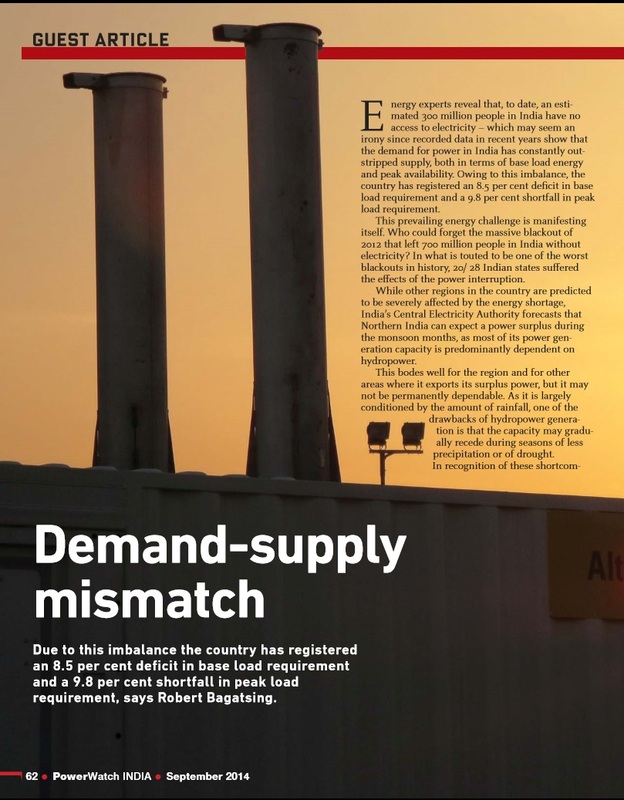 Recorded data in recent years show that demand for energy in India has consistently outstripped the supply, both in terms of base load energy and peak availability. Studies show that the country registers an 8.5% deficit in base load requirement and a 9.8% short-fall in peak load requirement. Seconding this observation, India’s Central Electricity Authority forecasts that the energy deficiency will affect all of the country’s regions and that, though Northern India expects a power surplus during the monsoon months (as its power generation capacity is predominantly dependent on hydropower), the spare capacity will gradually recede during the winter months. India’s government has responded to the pressing situation by launching ambitious rural electrification programs, but the challenge proves to be vast that it could not be resolved in an instant. Ground research shows that approximately 400 million Indians still lose electricity during blackouts and that 35.5% of Indian households still has limited access to electricity. 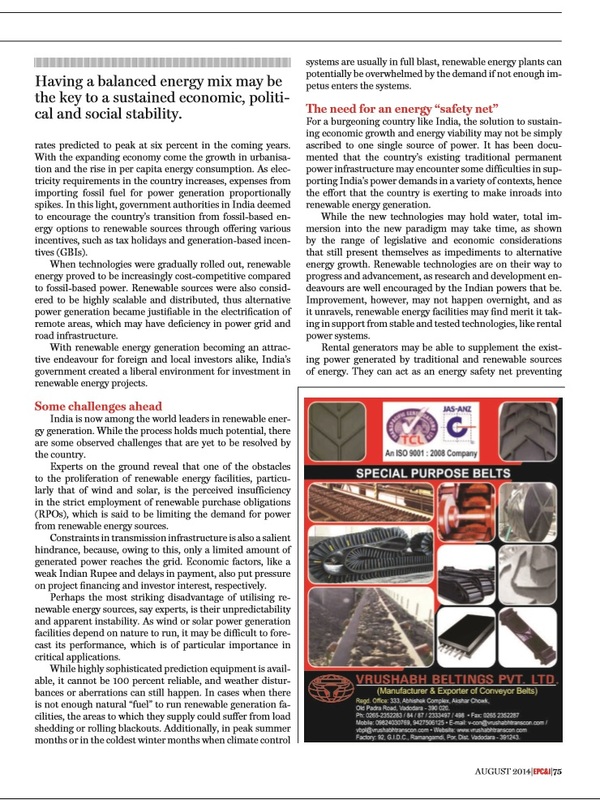 The compelling need to urgently address the economic repercussion of the imminent power instability was more vividly drawn by a study conducted by the Federation of Indian Chambers of Commerce and Industries in 2012. 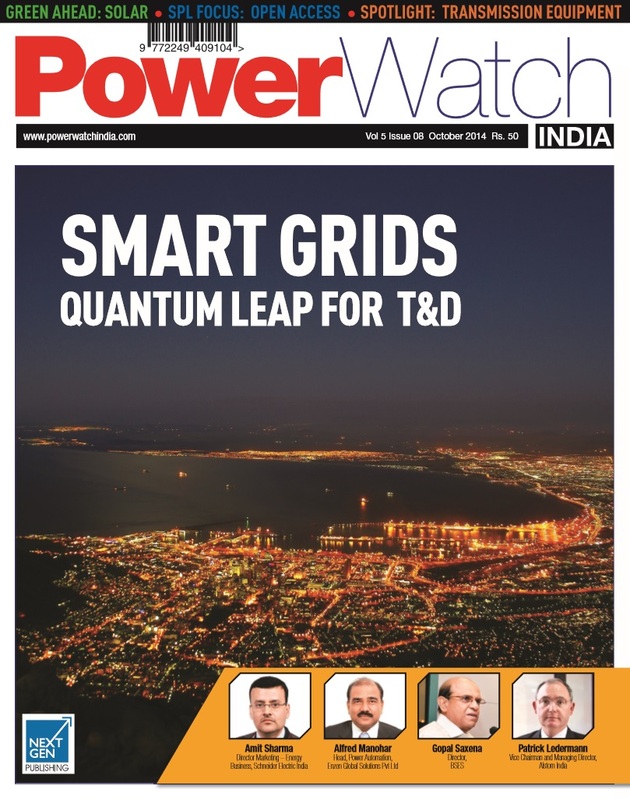 The document showed that power interruptions in India could result in approximately 10% in production short-fall, leading to revenue losses of up to INR 40,000 per day. Who could forget the massive blackout of 2012 that left 700 million people in India without electricity? In what is touted to be one of the worst blackouts in history, twenty of India’s 28 states suffered the effects of the power interruption that almost incited social instability and protests for fears that the country was no longer in the position to support its booming local energy demand. The repercussion was almost journalistically indescribable: traffic jams all over the affected cities, babies wailing of heat, bodies half-burnt at crematoriums, patients gasping for every breath of life, miners trapped underground in complete darkness, passengers stranded in the middle of miles of track. While stakeholders strive to bridge the supply gap, India’s demand for electricity is not showing signs of slowing down. Industry studies indicate that India’s manufacturing sector will continue to grow at an even faster pace and that domestic demand will increase more rapidly. 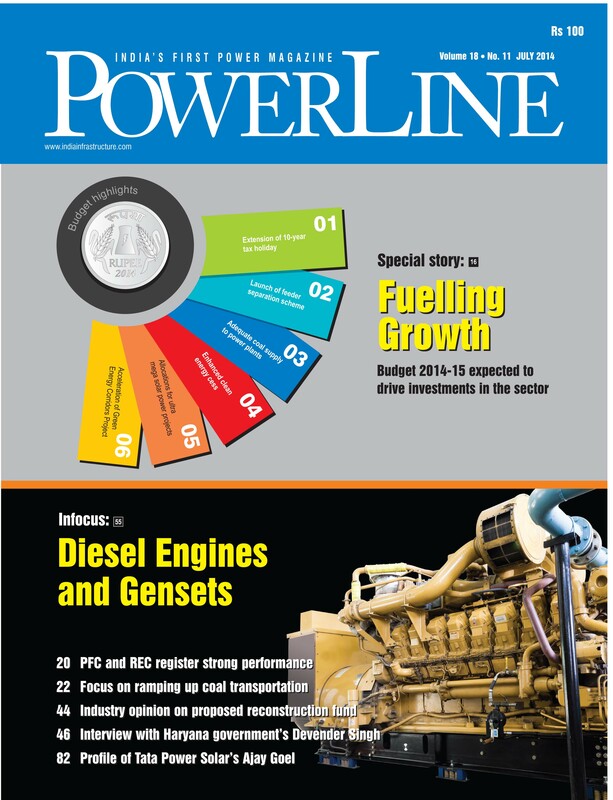 In these crucial times, India’s power generation infrastructure needs all the support it can get. The governments and the utility companies may be moving mountains to immediately resolve the present and the impending energy sooner, but with the scope and extent of the difficulty, they may not be able to do it single-handedly. 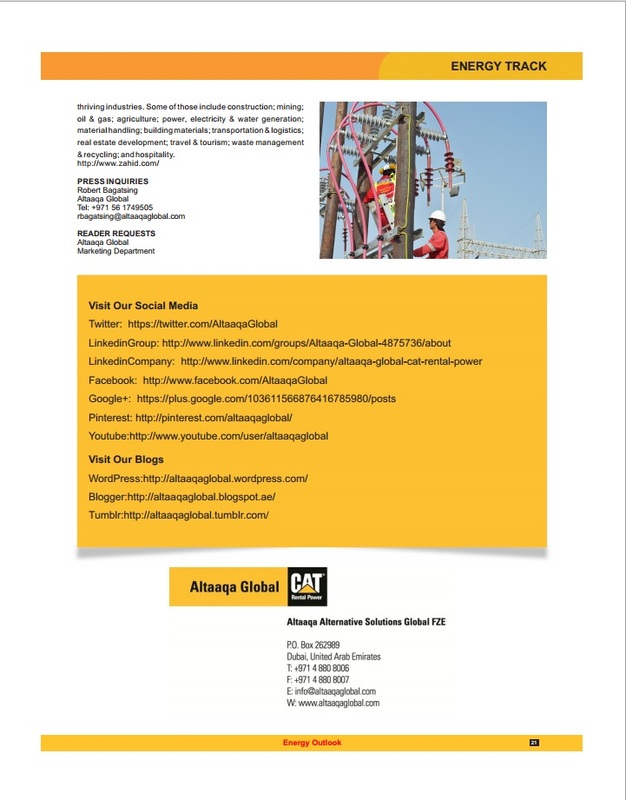 Temporary power generation companies, like Altaaqa Global CAT Rental Power, a leading global provider of interim energy facilities, have the capacity to support the existing power generation infrastructure, with the end of bridging the gap in electricity supply as, where and when the necessity be. Hiring power plants has tested and recognized merits, particularly in cases of emergencies or natural calamities, unplanned power failures, unforeseen delays in power projects, temporary plant shutdowns, load shedding or peak shaving. 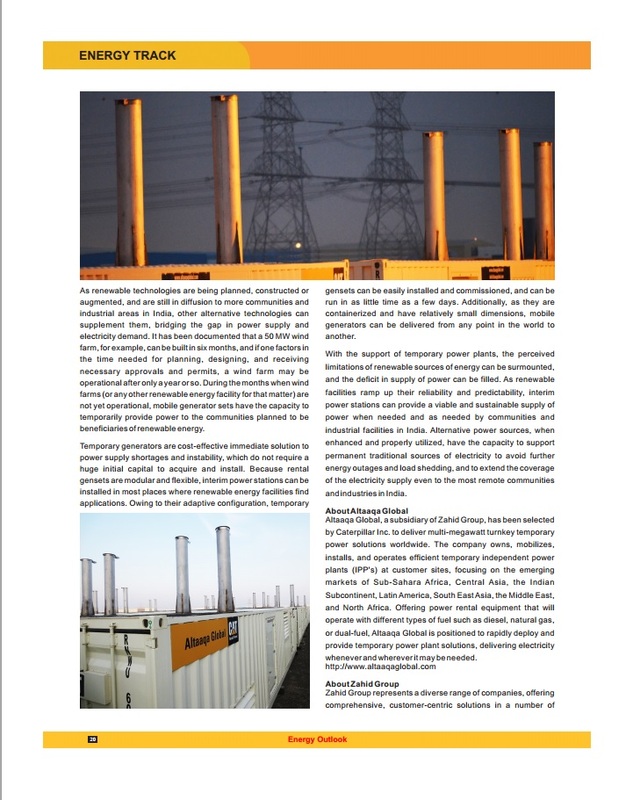 Signing an agreement with interim power providers can also prove beneficial when electricity distribution facilities are not available in certain areas, like in dispersed communities; when permanent power stations are still being constructed or commissioned or when energy generation facilities are being expanded or refurbished. India’s initiative to harness alternative sources of energy, like geothermal, hydroelectric, solar, wind and tidal has proven to be effective, but seasonal changes may alter the operations of the aforementioned facilities. For instance, some parts of the country where hydroelectric power stations operate may experience droughts or prolonged absence of rain, which in turn can drastically reduce the power generation capacity of the said plants. Solar or photovoltaic farms thrive during summer months but may experience shortage in production in months when days are predominantly cloudy or rainy. 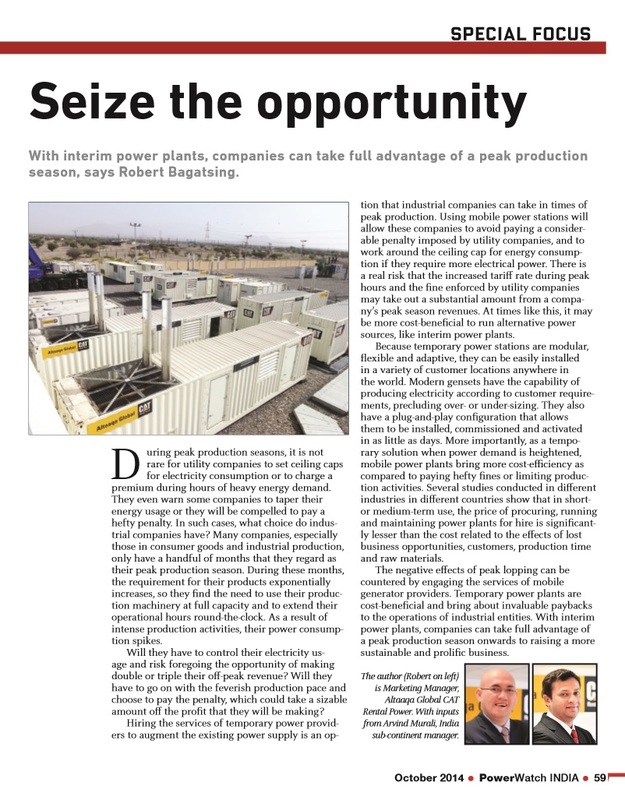 In these cases, rental power plants may support the power generation capacity of the current facilities if only to bridge the gap during the crucial months of seasonal change. With its large manufacturing sector, production facilities in India often need to double, may be even triple, their capacities to meet the international production requirement in certain months, say during Christmas or Diwali. While a manifold increase in production bodes well for a company’s income, the consequent spike in power consumption may usher in operational challenges. 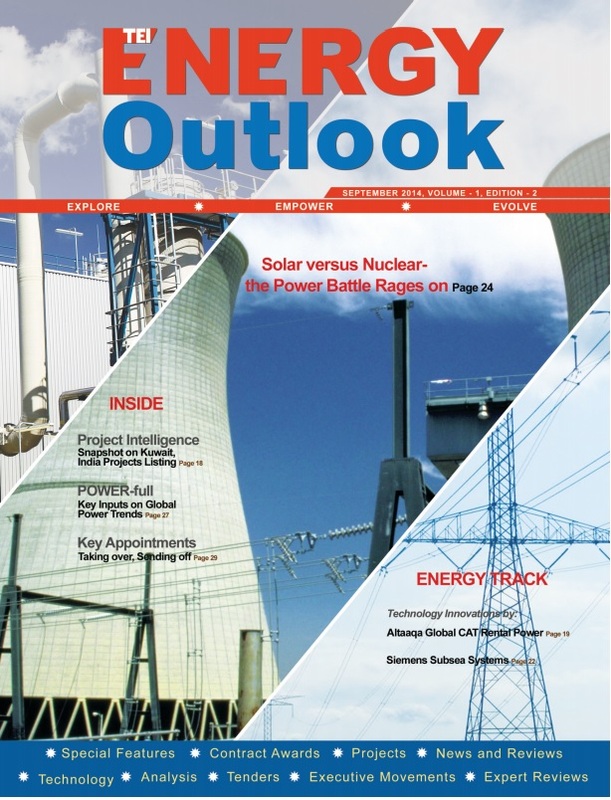 It is highly probable that during the same peak months, utility companies will set ceiling caps for electricity consumption or will ask production facilities to pay an additional consumption premium during peak hours. In this case, based on cost-benefit studies conducted among industries within the arc of peak months, it will be more economically sound to hire a temporary power plant than to pay an additional fee for every peak kilowatt used, shut down parts of the production complex when power usage is at its peak, or pay a hefty fine for using more power than what has been allocated for a company’s function. Peaker power plants (peakers for short) are an ideal solution offered by energy rental companies like Altaaqa Global to curb seasonal electricity demand during peak production months. Of all unforeseen occurrences, a natural disaster may prove to be the most difficult to immediately address. Calamities like earthquakes, tsunamis and hurricanes have the capacity to destroy roads; interrupt power, water and communication lines and cripple transportation routes. In these cases, local or governmental entities may need assistance from a temporary power service provider that has the logistical capabilities to deploy, install, commission and run interim power plants anywhere in the world, on a short notice. 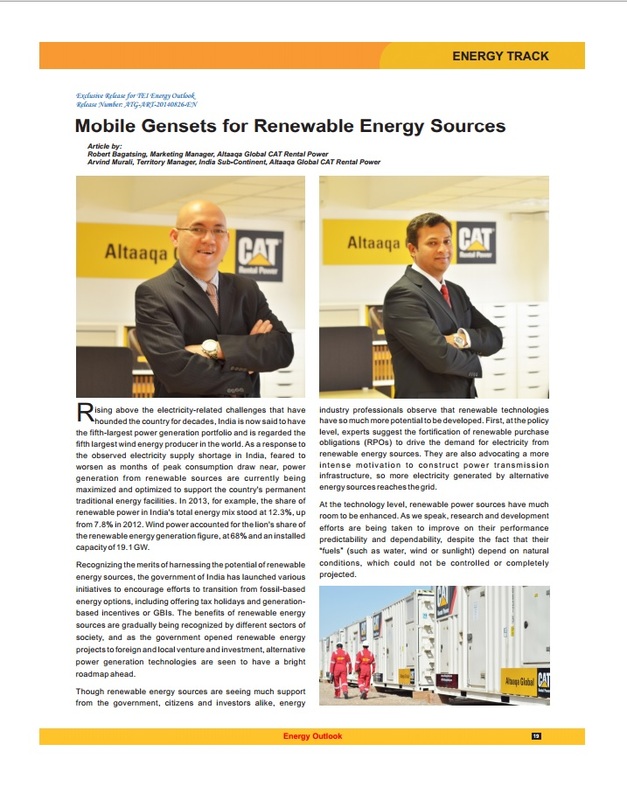 Altaaqa Global’s temporary power products and genset technologies are the most efficient solution for a rapid capacity application, owing to their modular and flexible design, especially engineered for swift mobilization and start-up. 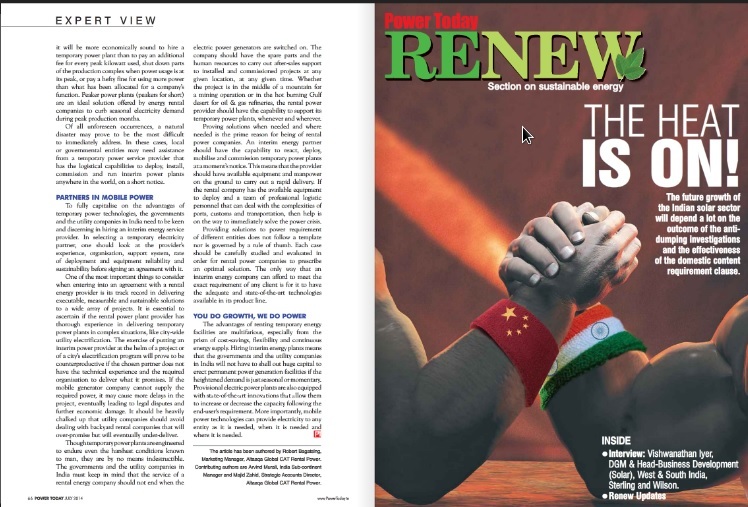 To fully capitalize on the advantages of temporary power technologies, the governments and the utility companies in India need to be keen and discerning in hiring an interim energy service provider. In selecting a temporary electricity partner, one should look at the provider’s experience, organization, support system, rate of deployment and equipment reliability and sustainability before signing an agreement with it. One of the most important things to consider when entering into an agreement with a rental energy provider is its track record in delivering executable, measurable and sustainable solutions to a wide array of projects. It is essential to ascertain if the rental power plant provider has thorough experience in delivering temporary power plants in complex situations, like city-wide utility electrification. The exercise of putting an interim power provider at the helm of a project or of a city’s electrification program will prove to be counterproductive if the chosen partner does not have the technical experience and the required organization to deliver what it promises. If the mobile generator company cannot supply the required power, it may cause more delays in the project, eventually leading to legal disputes and further economic damage. It should be heavily chalked up that utility companies should avoid dealing with backyard rental companies that will over-promise but will eventually under-deliver. Though temporary power plants, like the ones provided by Altaaqa Global, are engineered to endure even the harshest conditions known to man, they are by no means indestructible. 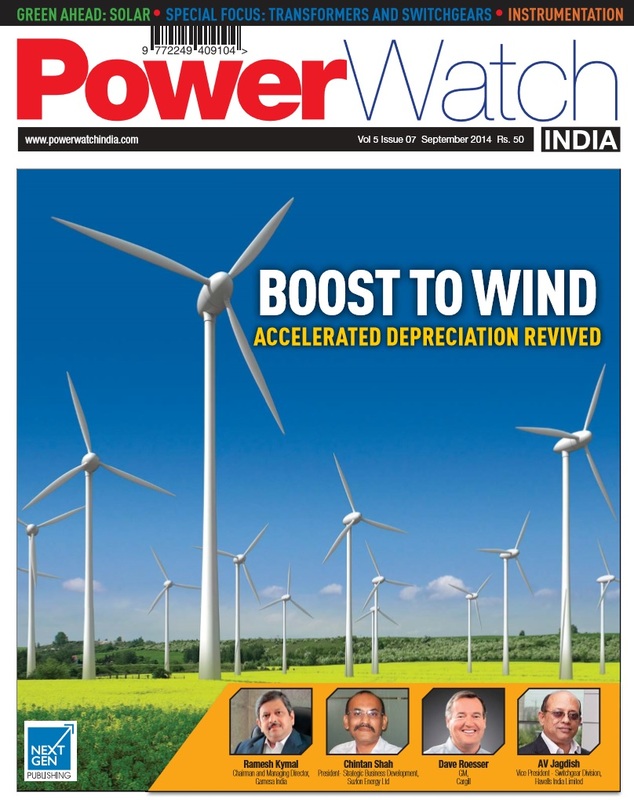 The governments and the utility companies in India must keep in mind that the service of a rental energy company should not end when the electric power generators are switched on. The company should have the spare parts and the human resources to carry out after-sales support to installed and commissioned projects at any given location, at any given time. 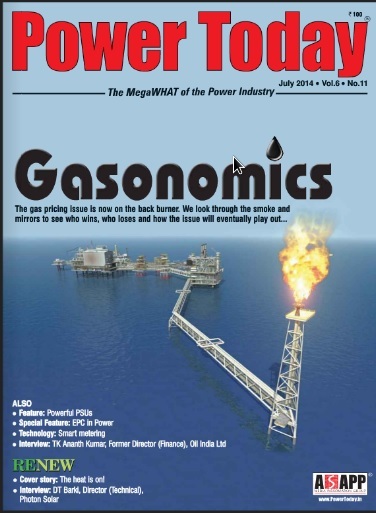 Whether the project is in the middle of a mountain for a mining operation or in the hot burning Gulf desert for oil & gas refineries, the rental power provider should have the capability to support its temporary power plants, whenever and wherever. 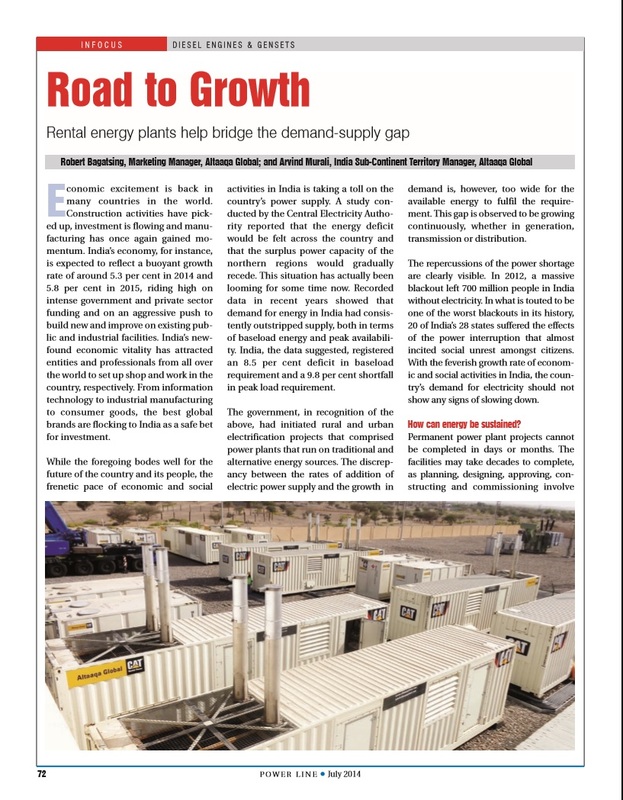 Proving solutions when needed and where needed is the prime reason for being of rental power companies, like Altaaqa Global. An interim energy partner should have the capability to react, deploy, mobilize and commission temporary power plants at a moment’s notice. This means that the provider should have available equipment and manpower on the ground to carry out a rapid delivery. If the rental company has the available equipment to deploy and a team of professional logistic personnel that can deal with the complexities of ports, customs and transportation, then help is on the way to immediately solve the power crisis. Providing solutions to power requirement of different entities does not follow a template nor is governed by a rule of thumb. Each case should be carefully studied and evaluated in order for rental power companies to prescribe an optimal solution. The only way that an interim energy company can afford to meet the exact requirement of any client is for it to have the adequate and state-of-the-art technologies available in its product line. Altaaqa Global has a wide range of large-scale temporary power plants running on gas, diesel or dual-fuel (70% gas and 30% diesel). It also offers systems on liquefied natural gas (LNG) and on compressed natural gas (CNG), in recognition of rigid sets of licensing and sustainability regulations that may exist in some parts of India. Altaaqa Global also proposes state-of-the-art products that pushes the envelope of technological flexibility. One of the company’s flagship innovation is the variable operational mode that can switch from island to grid mode in just seconds. It provides the most scalable power solution to support base load, intermediate, peaking or standby power generation. Altaaqa Global also offers the first and only substation-free power plants, specifically engineered to serve places in India where they may not be substations. 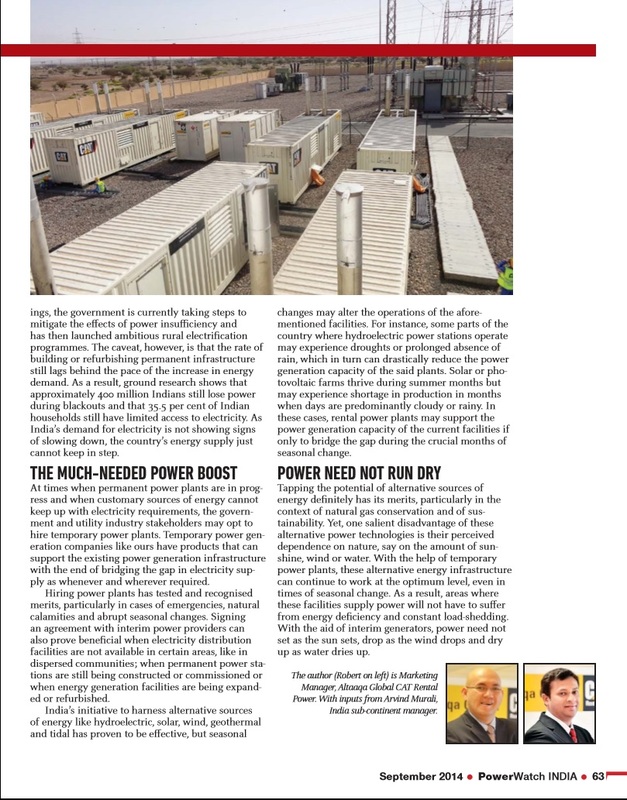 These temporary power plants require no substations and can directly be hooked to the grid. 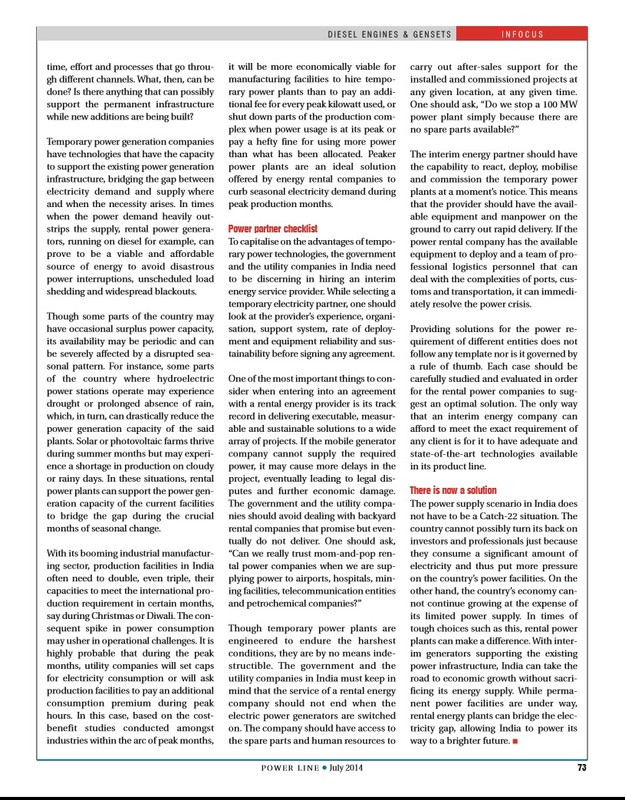 The advantages of renting temporary energy facilities are multifarious, especially from the prism of cost-savings, flexibility and continuous energy supply. 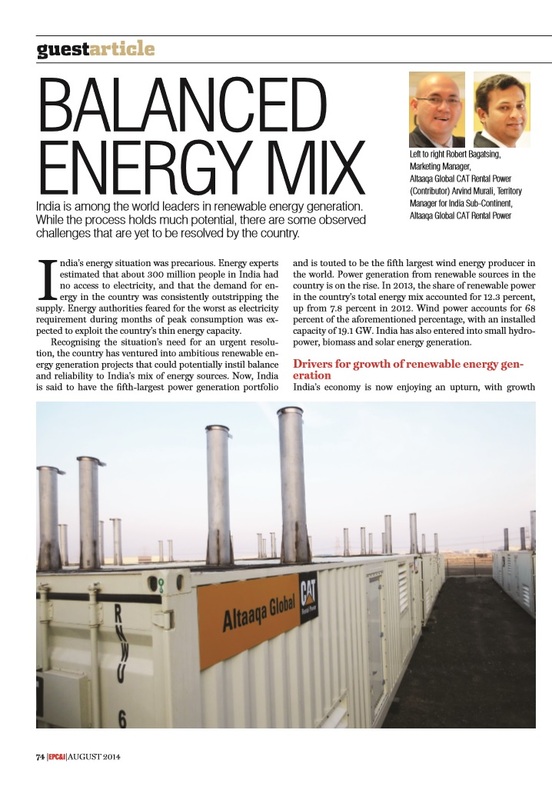 Hiring interim energy plants means that the governments and the utility companies in India will not have to shell out huge capital (CAPEX) to erect permanent power generation facilities if the heightened demand is just seasonal or momentary. Provisional electric power plants are also equipped with state-of-the-art innovations that allow them to increase or decrease the capacity following the end-user’s requirement. More importantly, mobile power technologies can provide electricity to any entity as it is needed, when it is needed and where it is needed.